On 10 November 2017, the Christian Association of Nigeria met with President Muhammadu Buhari and expressed their concern over the ongoing violence by Fulani herdsmen. (Photo: Nigeria Presidency). The Christian Association of Nigeria (CAN) has called on President Muhammadu Buhari to intervene after five Christian youths were sentenced to death in the north-eastern state of Adamawa, warning of a “miscarriage of justice” and bemoaning a lack of consistency in bringing killers to justice. On 11 June, a judge at the High Court in Yola, the capital of Adamawa, found Alex Amos, Alheri Phanuel, Holy Boniface, Jerry Gideon and Jari Sabagi, all from Demsa Local Government Area (LGA), guilty of “criminal conspiracy and culpable homicide”. The youths were found to have “wilfully and intentionally conspired and attacked” three herdsmen rearing cattle, killing one of them, Adamu Buba, and throwing his body into a river, and also maiming several cows in Kodamun village, part of Demsa LGA, on 1 June, 2017. However, Nigeria’s Independent news site reported that the victim fell into the river and drowned, while being chased by the five youths. The victim was said to have been the ringleader of an attack that claimed 48 lives in Kodamun, a predominantly Christian village, in 2016. In a statement published on Tuesday, 19 June, CAN said that it did not support “jungle justice or any criminality”. However, the Church body called for consistency, noting “with regret how hundreds of our members in southern Kaduna, Benue, Taraba, [and] Plateau states in the north-central geo-political zones, and a state like Enugu in the south, have been killed and are still being killed on a daily basis by some criminals parading themselves as Fulani herdsmen, but are yet to be apprehended”. Violence attributed to Fulani herdsmen has reached a record high this year, particularly in the Middle Belt states, such as Benue, which has been the most affected, with attacks carried out on an almost daily basis. 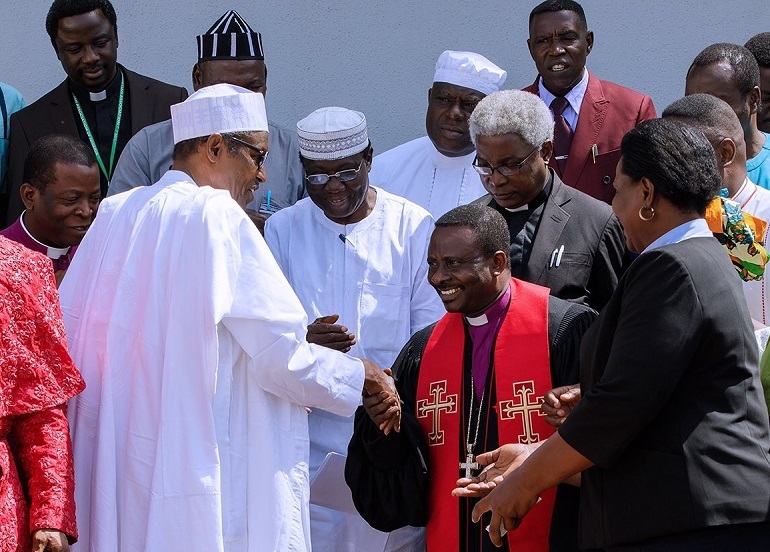 The massacre of 19 worshippers, including priests Joseph Gor and Felix Tyolaha, on 24 April provoked outrage in Nigeria and elsewhere, with the Catholic Bishops’ Conference of Nigeria urging President Muhammadu Buhari to step down in its wake. US President Donald Trump decried the killings of Christians in Nigeria as he met with Buhari in Washington just a few days later. CAN said that “despite the outrage that has trailed the killings of Christians in Nigeria, it is disheartening that none of the killers has been brought to justice”. “We are shocked at the speed … deployed by security and judicial officers in sentencing the alleged killers of the herdsman in Adamawa state,” added CAN, referencing the killings of prominent Christian leaders whose perpetrators are yet to be brought to justice. “Why did the court discharge the alleged killers of Madam Bridget Agbahime on the orders of the Kano State Government? Why have security officials not arrested those behind the killings of Christians in southern Kaduna, while those arrested for the murder of Mrs Eunice Elisha Olawale in Kubwa, Abuja, have been set free by the Nigerian police?” CAN asked.